Elev8 TV celebrates the nomination of the Octavia Ephraim Show for the category of Best TV Show at the 9th SABC Crown Gospel Music Awards 2016 to be held on the 27th of November 2016. The announcement was made at the glittering event held at the Moses Mabhida Stadium on Wednesday the 19th of October 2016 attended by the who’s who of the gospel music industry. The Octavia Ephraim Show is a weekly TV talk show hosted by Octavia Ephraim on Elev8 TV, the show broadcasts every Wednesday at 19:30. It is a lifestyle show that looks at life in the eyes of faith and shares stories of people that make a difference in their communities. This award is a boost on the hard work that the team has put in the creation of the show, especially that the show was launched in 2016 and continues to attract great viewership. This also is recognition of the pioneering spirit of the Elev8 TV channel. It is an honour for the show to be nominated and compete against the best of SA TV gospel shows and we are confident we will take the award. The nomination is a recognition of the efforts and hard work of Octavia and her team. The SABC Crown Gospel Music Awards is undoubtedly the leading awards that celebrate the many talents in the gospel music industry. This year the awards enter their 9th year of being the biggest industry platform that recognizes the achievements of artists, musicians, producers and other related industry stakeholders. This year's Crown Gospel Music Awards will be held on the 27th of November 2016 at the Inkosi Albert Luthuli Convention Center (Durban ICC). Elev8 TV is sub-Sahara Africa’s first 24 hour gospel mobile TV channel broadcasting out of Johannesburg. Founded in 2015, Elev8 TV now reaches over 154 nations via the Tuluntulu Application platform. The channel broadcasts, preaching messages, music, devotionals, conferences as well as kids programs. The vision for Elev8 TV is to take the gospel and to every nation and has a mandate to disciple nations. The channel is renowned for breakthrough technology that allows content providers to know who watches their program and also for how long. Its position on the award winning platform Tuluntulu has enabled the channel to reach over 100 000 people directly on their mobile phones. Now everyone can watch the gospel on their mobile device (tablet and smartphone) and this is a huge boost for reaching out to Africa as the rise of smartphone penetration is highest. Elev8 TV was founded by Minister Nickson Sibanda, a native of Zimbabwe now based in South Africa is also a former Njube and Northlea High School in Bulawayo. He is a seasoned media practitioner, with years of experience at leading media houses in South Africa and Europe. His passion is to enable the church to use new disruptive media technologies to enable the spread of the gospel. For his efforts in pioneering mobile TV in SA Nickson has been nominated in the SA Men Award 2016. Science and Technology Category (www.samenawars.co.za). 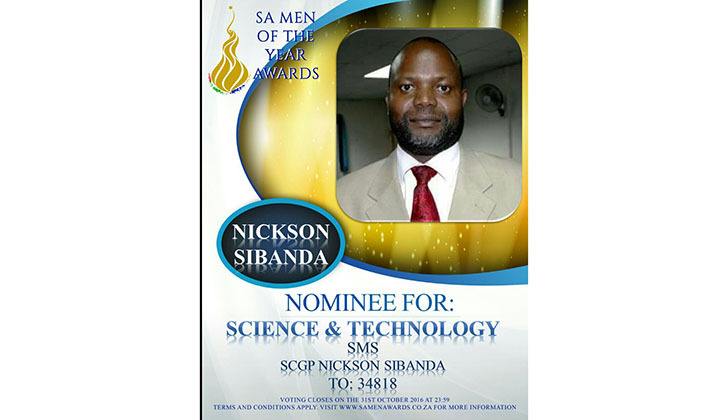 To vote people will sms SCGP + Nickson Sibanda to 34818. To watch Elev8 TV download the Tuluntulu App free from IOS and Google store.